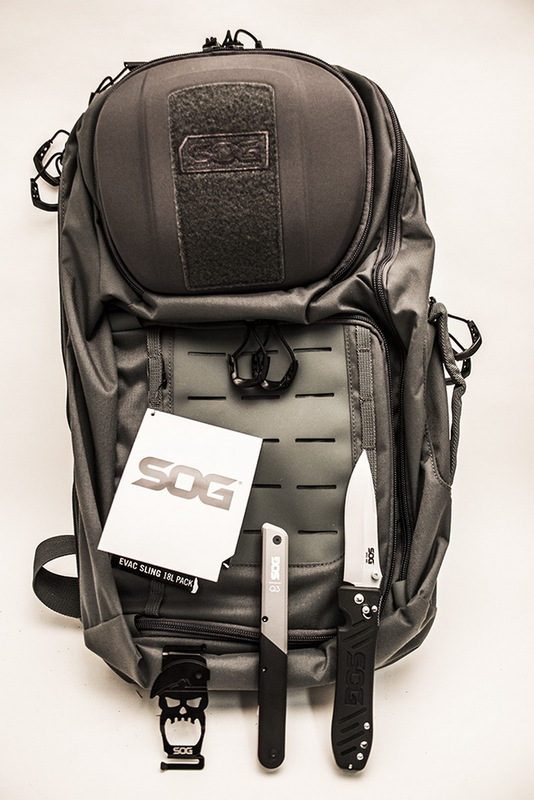 Our friends at SOG Specialty Knives & Tools have assembled a very useful set of Urban "Survival" Gear. 1) SOG Baton Q3 Multi-Tool ID1021-CP ($94) - Baton Q3 will get you out of a wide array of tough situations. Based on the classic multi-tool, it fulfills your basic essentials for wilderness and urban adventure and has what you need before you know you need it. 2) SOG Spec Arc SE15-BX ($160) - Spec Arc folding knife features a subdued design with a 4-inch VG-10 blade, Arc-Lock and GRN handle with stainless steel liners. 3) SOG EVAC Sling 18 CP100 ($150) - For short distance carry, mobility, and quick on-the-run access to all your gear, the SOG EVAC 18L Sling pack fits the bill. Side access laptop, main, and secondary compartment gives you access without taking the pack off. Inside the main compartment lives an organization panel for smaller items that may otherwise get lost in the bottom of the pack. The molded top pocket and front organizer pockets gives you even more storage flexibility. 4) SOG Bite BT1001-CP ($14) - A MACV styled bottle opener that can be attached to your backpack straps.